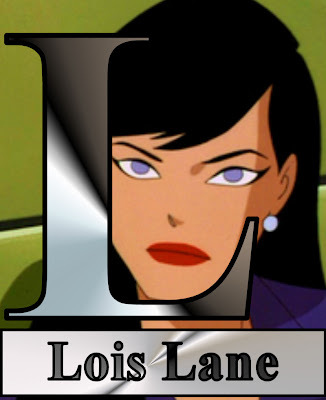 L is for Lois Lane. This list is mostly devoid of female characters, but that's the way it goes in the male-dominated world of comic books. That, thankfully, is starting to change a bit. Lois Lane isn't a superhero, but she has an important role in the superhero world. Lois represents the archetypical comic book love interest; a point of reference for any comic writer. Lois is often put in situations where she's the "damsel in distress," but the truth is she's one of the strongest, toughest characters in comics, a true intellectual equal for the Man of Steel. She's willful, sometimes brash, quick-witted, and stubborn, traits that both complement and conflict with Superman. Like Superman, Lois has been portrayed in different ways and by different actresses over the years, but the character remains a constant in the Superman mythology, be it as a love interest or reporting rival to Clark Kent. Tomorrow: In many ways, it's the opposite of Gotham City. Live and Let Undead Arrives!